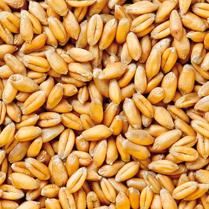 Most of the losses of cereal are caused by problems with the conditions of conservation during the storage stage of grain. Save time and money by monitoring and controlling the temperature and the humidity of the cereal with the measuring system created by GESCASER. Pass quality audits by completely controlling your stored cereal. by several calibrated sensors. The sensor cable is so easy to extract and to reinsert that it facilitates any repair, verification or calibration even when the silo is full of grain. Probe of a smooth, flexible and small-diameter tube with sensors that measures temperature and humidity of the cereal. With no sensors limitations and at a clients distance needs between sensors. MUX, which are the electronic boxes, are normally placed in the centre of the silo and are easily accessible from the footbridge. Easy to connect and replace, they facilitate any kind of repair. 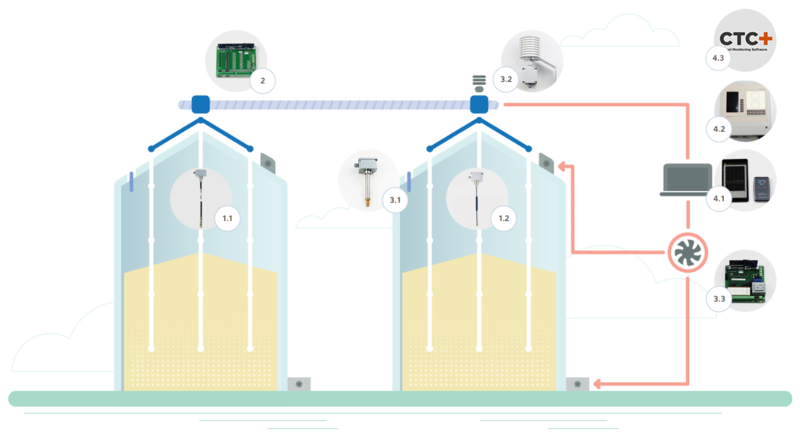 It allows the automatic control of fans and exhaust roof fans related to each silo according to the environmental conditions and the stored cereal. It measures the relative humidity and the air temperature between the cereal and the silo ceiling. It controls the starting and stoppage of the exhaust roof fans, avoiding condensation on the walls and the silo ceiling. It measures the relative humidity and the outdoor air temperature. It allows the fans to turn on automatically only when environmental conditions are favourable to ventilate. It is composed by free tension contacts where fans are connected for a better start up and/or automatic stoppage according to selected parameters. It can also be used as an alarm signal to import into your PLC/SCADA. It shows you the temperature of grain inside the silo according to the necessities and particularities of each installation. It is ideal for small installations with few sensors. It monitors the temperature by a digital scanner or a Bluetooth module and TABLET able to design graphs by a temperatures history. It is the perfect system for small and medium installations where it is not possible to use a PC. It is composed by a synoptic chart, an LCD screen and a numerical keyboard to select probes and silos. You can optionally install a printer. It has been developed for all those who look for the maximum quality for their cereal. It allows for controlling from several PC, exporting and importing information and having a general view of the current temperature and history of all the plant.